The Suzuki Promaster Harmonica is chock full of cutting-edge components that make it a mouth harp unparalleled in the music instrument industry. 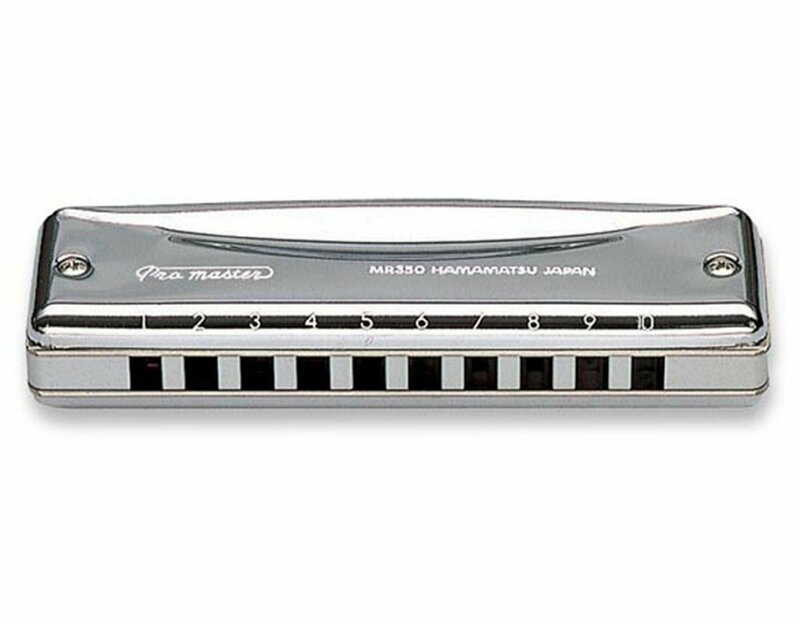 A professional level diatonic harmonica, the Suzuki Promaster is constructed with machined phosphor bronze replaceable reed plates. Its reed plates are the result of computer-aided laser cutting and they yield a tuned and bendable reed system. Plus, a satin anodized, milled, billet aluminum alloy comb holds this space-age harmonica together. The Promaster's ergonomically designed, polished stainless steel reed covers provide maximum playing comfort. Its inner components deliver the rich tones and clarity so sought after by professional harmonica players. Even the Suzuki Promaster Harmonica's soft-lined, hardshell carrying case is specially designed for comfort and protection. The Suzuki Promaster Harmonica is chock full of cutting-edge components that make it a mouth harp unparalleled in the music instrument industry.